Dr. Nicholas Southworth graduated from St Charles Preparatory High School in Columbus, Ohio, where he participated in football, wrestling, track, and golf. He then attended Miami University in Oxford, Ohio where he continued to participate in track. While at Miami he was an active member of Delta Upsilon Fraternity, as well as student government. He graduated from Miami in 2006 Pre-Med with a B.A. in Biology/Zoology. He went on to attend Logan College of Chiropractic where he earned his Doctor of Chiropractic degree in 2011. Dr. Southworth is a certified A.R.T. (Active Release Technique) practitioner. He implements this technique on both professional and amateur athletes as well as his adjustments for the general public. Dr. Southworth takes pride as an active member of his local community. 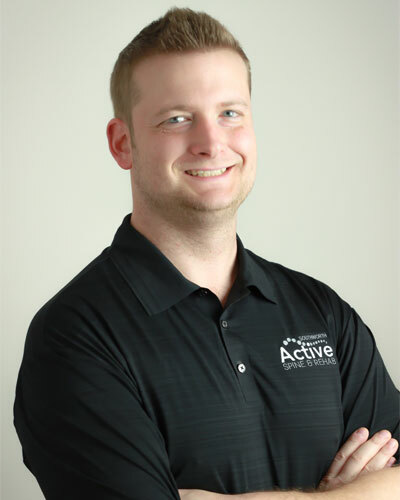 His primary goal is to empower people to live healthier, pain and drug-free lives through education of the chiropractic lifestyle. He has donated numerous hours, by conducting workshops to a variety of businesses, police and fire departments, social clubs, and surrounding communities. Dr. Southworth lives in Gahanna with his wife Meghan, two children Grace and Cole, and their dog Tucker. In his spare time, he enjoys sports, outdoor activities, and community functions.